Virtually all core functions in organizations are operated as strategic disciplines (e.g., finance, supply chain, marketing and sales, human resources, IT). This means they have consistent practices and protocols, common ways of making decisions and managing information. These disciplines are crucial to having the business function optimally, and reliably, to be able to deliver results. Organizational change is now so complex and pervasive that it also needs to be set up as a strategic discipline. Without this, the current norm of more than 60% of change efforts not producing their intended ROI will likely continue, if not worsen. It is time to make leading change a strategic discipline in your organization, with standard processes and protocols used across the enterprise. With so much change happening in organizations, most leaders managing organizational change cover their functional bases and rush to solution rather than provide thoughtful executive oversight, methodology, tools, and infrastructure. This leads to multiple and competing approaches to change, a lack of common language or tools, and no way to identify how much change is happening or how it is being sequenced or resourced. This creates chaos, wasted time, redundancy, confusion, and competition among change initiatives. The “squeaky wheel” changes get the most attention, even if they are not the most strategic for the business. Identify the most strategic change initiatives required to deliver on the organization’s business strategy. Prioritize and sort out pet projects, ensuring you have the capacity for the most important work. Consolidate and coordinate change activities and resources for the greatest impact and speed across initiatives. Pace and sequence the change work so the organization can adopt and succeed while it continues to operate. Establishing change infrastructures to execute initiatives with consistency and speed. An enterprise change agenda acts likea high-level portfolio of change overseen by senior leaders.It ensures that executives succeed at the strategic change initiatives required for business success, and that they have the capacity and resources to lead their priority change initiatives effectively. 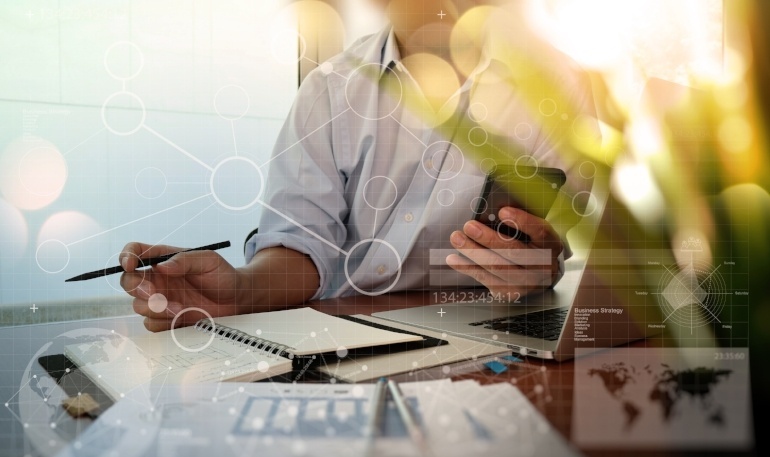 The enterprise change agenda ensures that the organization is focused, aligned on its priorities, and able to set up its mission-critical changes to get the ROI needed for business results. In the process of creating it, executives identify all the change initiatives underway, sort them for enterprise or functional priority, sequence and pace them, and ensure adequate resources and capacity. The agenda also establishes a gateway for consciously adding more initiatives so the quantity of change work realistically matches the capacity of the organization. Do you need an enterprise change agenda and process? How many major change initiatives are underway in your organization, from the field on up? Do you have a mechanism in place to list, track, and prioritize all the significant change initiatives in the organization? Are the changes underway all necessary to the business’ strategic direction? Do you have a mechanism in place to ensure that you have the right change efforts to deliver on your business strategy? Are change initiatives prioritized, sequenced, and resourced according to their priority? Are you clear on how and when a major change initiative can be added to your change agenda? Do you have a way to ensure that low priority changes do not get started ahead of high priority ones? Do you have a way of managing your change resource expenditures to ensure maximum ROI? Do you have a mechanism to identify what should be taken off your change agenda as priorities shift? And to monitor that they are stopped? Do you have the capacity to undertake – and succeed in – the key changes on your agenda? 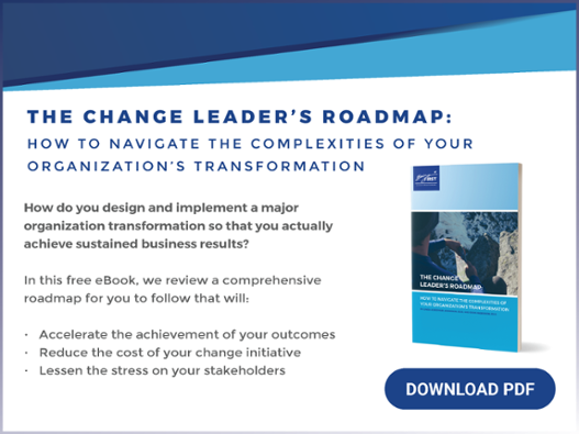 Do you have a mechanism in place to identify and assess the organization’s capacity to accomplish your change agenda while continuing to operate effectively? From these questions, you can infer that the enterprise change agenda is not just a “tool”; it is a process, led by the executives and sequenced to follow strategic planning, before operational planning. It ups the game on good change leadership! We advocate for having one integrated change methodology that serves all change initiatives, from start to finish, no matter what the magnitude or type of change. A common change methodology enables greater coordination and integration across change efforts, and enables the change leadership development required to ensure strong oversight of change. How many different change-related models and tools are being used in your organization to manage or support change initiatives? Are they collectively adequate to do the job? How do you know? Do your change methodologies compete? Does the lack of consistency confuse people? Is there wasteful redundancy of work products or planning? How effectively do your approaches to change account for effective solution design as well as the impacts on people and the culture, from the very beginning of the process? How well do they ensure your stakeholders fully adopt change and sustain it? How do you know? If you are interested in building strong and transferable change leadership skills, how can you do this if different parts of your organization approach change differently? 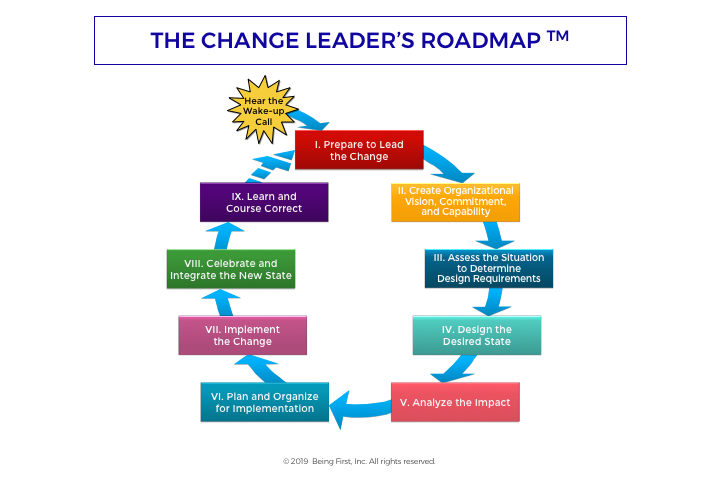 Your answers to these questions will reveal the need for having one integrated system for leading all change, especially if you have a lot of transformational change in progress or needed. The overarching question to consider is: What do your most important change initiatives need to be successful, every time? Being First’s Change Leader’s Roadmap is designed to account for the best-in-class answer to this question. Do you have standard change leadership roles and authority levels? Do your change teams have clear and repeatable charters and deliverables? Do you have templates for producing a clear case for change, change strategies, communications, and engagement plans? Do you have ways of ensuring integration across the multiple change initiatives and work streams? Do you have mechanisms in place to consistently set up, track, coordinate, and course correct your change efforts? Are different initiatives using different criteria for evaluation? Different metrics? Different tools and definitions? Where do all the change-related support services, tools, and resources live in your organization (e.g., project management, OD, Lean, Agile, Continuous Improvement)? Do you have a central clearing house to orchestrate the deployment of these resources to the right initiatives at the right time, to ensure success? Having strategic disciplines for change, including an enterprise change agenda, a common change methodology, and change infrastructures, will ensure that your organization has the methods, capabilities, and infrastructures in place to consistently get the maximum ROI from change. These practices will ensure faster on-boarding of change leaders when each new change initiative is begun, and that the efforts reach key benchmarks and produce clear outcomes, or get course corrected in the timeliest manner. Think of the time, energy, and money that can be saved by having concise and ready-to-use to disciplines for leading change! One of our clients famously said, “We never have time to do change right; but we always have time to do it over!” Setting standards and mechanisms to do it right from the beginning is benefit enough to be the motivating factor for senior leaders to commit to building the organization’s change leadership capability through strategic change disciplines.